1981 football. 1984 and 1987 men’s soccer. 2003 men’s golf. And most recently, 2016 football. The great single-sport seasons in Clemson history are easy to identify and, for many Tiger fans, even easier to remember. But the greatest all-sport season in school history? That’s both tougher to define and tougher to identify. By any objective measure, one must consider the 2016-17 academic year among the greatest in Clemson’s storied past, if not the single-greatest athletic year. Everything starts with the College Football Playoff National Championship Game. Football’s amazing season featured wins over the programs who had claimed the past seven national championships. The team won the ACC championship for the second year in a row, the first time in 28 years Clemson claimed back-to-back conference titles. What culminated on that January night in Tampa capped a truly amazing 14-1 season with endless accomplishments. But football was not the only program doing big things during the fall. The men’s soccer program followed up its remarkable national championship game appearance in 2015 with a run to the ACC Championship Match and advanced to the Elite 8 of the NCAA Tournament. Mike Noonan’s squad finished the year ranked No. 5 nationally, marking a second-consecutive top-five finish. The women’s soccer team posted its best ranking since 2001, as it advanced to the Sweet 16 and finished No. 12 in the national polls. The Tigers also earned the program’s first ACC regular-season championship since 2000 and only the second in school history, finishing with a 7-1-2 record in league play. In cross country, Grace Barnett produced the best finish by a Clemson female at the ACC Championships in nearly 20 years and became only the 10th female in school history to earn All-America recognition following a ninth-place finish at the NCAA Championships. As the calendar turned to 2017, the successes continued with women’s indoor track & field finishing second in the ACC and the men’s team placing fourth. 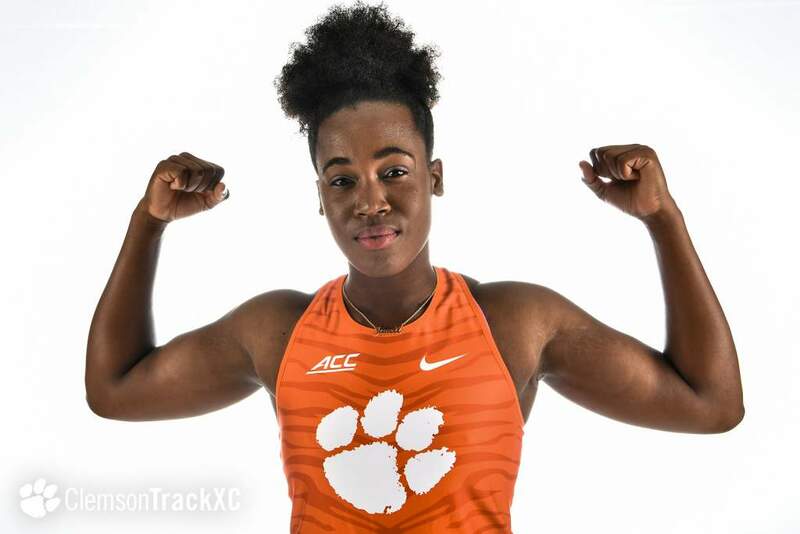 Clemson’s women have now finished second place or better in seven of the last eight indoor seasons, including five ACC championships. The baseball team spent most of the season ranked among the best in college baseball and hosted a regional for the second consecutive year. The men’s golf team won a record-tying six tournaments during the fall and spring, tying the record that had been set by the 2003 national championship team. The Tigers finished first or second in each of the first seven tournaments of the spring, also a first in school history. That led to a 96-3-2 record in the spring against outside opposition in tournament play entering the NCAA National Tournament. 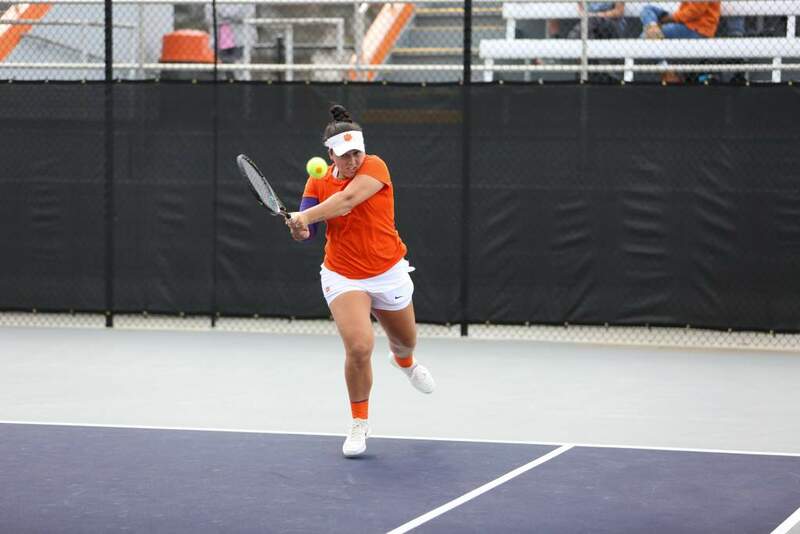 The women’s team posted a program-best fifth-place finish at the ACC Tournament and went on to earn its first berth in the NCAA National Tournament en route to a 20th-place finish. 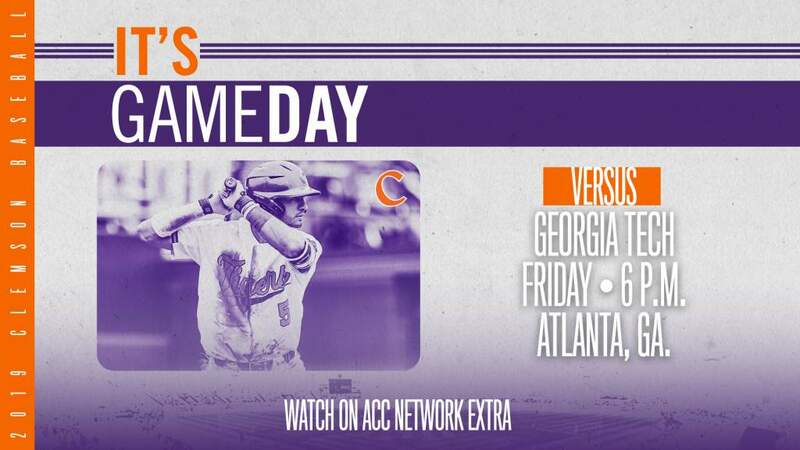 During the spring semester, only four schools (Clemson, Florida State, North Carolina, Stanford) had both men’s and women’s golf teams advance to the NCAA National Tournament and host a baseball regional. In all, Clemson programs claimed ACC titles in football and women’s soccer (regular season), while men’s soccer, women’s indoor track & field and men’s golf posted second-place finishes. Eight teams (football, men’s soccer, women’s soccer, men’s golf, women’s golf, women’s tennis, men’s basketball, baseball) earned postseason berths as well. While accomplishing those remarkable feats on the courts and fields, Clemson student-athletes continued to achieve at a remarkable level in the classroom. The NCAA reported Clemson’s most-recent student-athlete graduation success rate at 91 percent, tied for sixth nationally among public schools. GPAs for both the fall (3.02) and spring (3.00) semester set school records, and 53 student-athletes posted perfect 4.0 GPAs in the fall, with 46 achieving the mark in the spring. A school-record six programs were honored for outstanding achievement in the classroom when the NCAA released its Academic Performance Public Recognition Awards. The baseball, men’s basketball, men’s cross country, women’s cross country, women’s golf and volleyball programs each earned recognition among programs ranked in the top-10 percent of their sport nationally in the eligibility, graduation and retention metric. Most importantly, 195 student athletes earned their diploma at August, December and May graduations. The 2016-17 academic year saw a slew of new capital projects come to life, including the rebuilt Littlejohn Coliseum and Allen N. Reeves Football Complex. Littlejohn Coliseum, originally built in 1968, reopened in October after a complete $63.5 million renovation, creating a new fan experience, including a newly configured seating bowl, expanded portals that allows for a more accessible in-game atmosphere from the concourse level, the nation’s largest center-hung, curved videoboard and ribbon boards atop each portal in the seating area. Premium amenities now include the Coliseum Club and courtside club seating areas. Additionally, the Swann Pavilion was opened and now serves as the new everyday home of the men’s and women’s basketball programs. The operations complex and practice facility connected to the arena features state-of-the-art locker rooms, weight and training areas and new expanded locker rooms and recruiting lounges. In February, the football program moved into the Allen N. Reeves Football Complex. Designed to support the day-to-day activities of players, coaches and staff, the new complex further elevates Clemson’s football program and promotes the recruitment, training and development of student-athletes. The state-of-the-art building is more than 140,000 square feet and adjoins the indoor practice facility and outdoor practice fields, consolidating Clemson’s football operations into one complex. It is the largest, most programmatically-inclusive, football-specific training facility in the nation. Knowing that this facility will serve as a home away from home for many players and coaches, the project provides unparalleled amenities that enable student-athletes to train, study and unwind. Features include 1.5 acres of outdoor leisure and entertainment space in addition to training, weight equipment, technology and hydrotherapy. While the big-ticket items of Littlejohn Coliseum and the Allen N. Reeves Football Complex received most of the attention, other projects are under construction or soon to be started, including a new soccer practice area, upgrades at Jervey Gym and renovations in the WestZone, including the Nieri Student-Athlete Academic Enrichment Center. 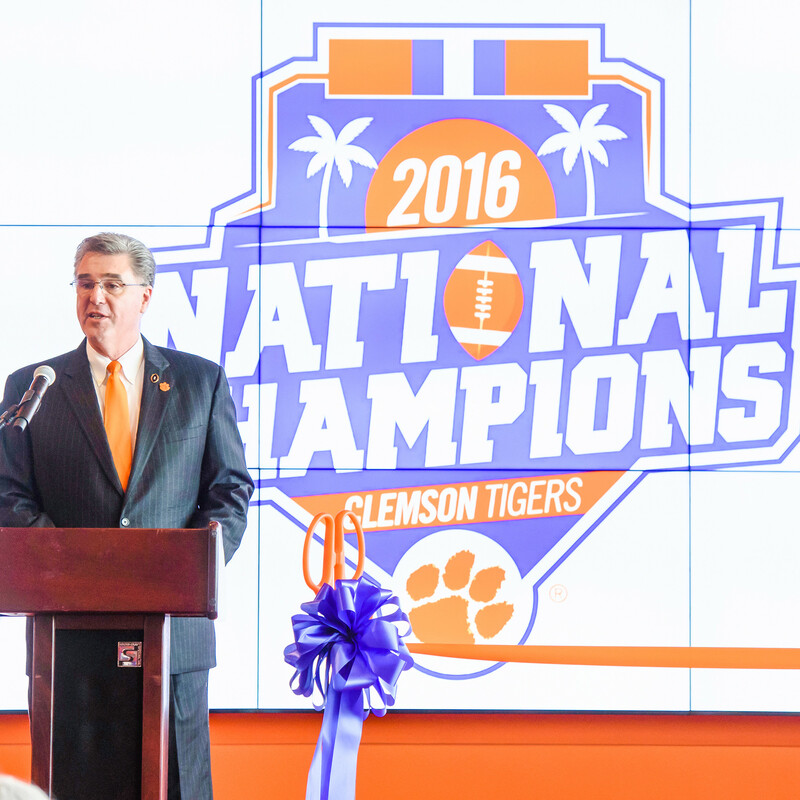 Since his arrival in 2013, director of athletics Dan Radakovich has coordinated the construction and renovation of more than $162 million in facilities projects, which have touched the everyday experience of each Clemson student-athlete. Even with the investment of $162 million in facilities projects, increased costs of expanded meals and student-athlete nutrition, development of community outreach programs and modernizing external communications, Clemson athletics remains in tremendous financial shape, in large part from the generous support of IPTAY and its donors. Athletic department revenue eclipsed $100 million for the first time in fiscal year 2017, up from $69 million in fiscal year 2014. And following the investment in modernizing and updating facilities, reserves remain near the same levels as they were in three years ago. Following a year like the one Clemson enjoyed in 2015-16, the awards were seemingly endless. From All-ACC recipients to All-Americans, Heisman Trophy finalists to conference freshmen-of-the-year, academic All-Americans to coaches-of-the-year, Tigers were recognized in every sport for their achievements on the fields and courts of play. A handful of off-field awards stand out for special recognition. Marisa Messana was named the recipient of the NCAA Elite 90 Award for women’s golf. The NCAA presents the award at each national championship event to the student-athlete with the highest cumulative GPA among the competing athletes. Messana is one semester from graduating and has a perfect 4.0 GPA in communications. The native of Fort Lauderdale, Fla., has been named to the All-ACC Academic team and has been named an Academic Scholar by the Golf Coaches Association each of the last two years. Junior Ivy Atkism was named to the 2017 Allstate Women’s Basketball Coaches Association Good Works Team. Atkism was one of just 10 women’s basketball players, and one of just five from Division I, to earn the prestigious accolade, which rewards student-athletes for making a positive impact through community service. The native of Monroe, Ga., has been involved in many community service initiatives over the past year and throughout her three-year career as a Tiger. In the fall of 2016, she organized a bone marrow registry drive on campus through the Be The Match Registry, encouraging more than 50 people to sign up for the national registry. Finally, Dan Radakovich was named the 2017 athletic director-of-the-year at the Sports Business Awards. Launched in 2008, the Sports Business Awards were established by SportsBusiness Journal and SportsBusiness Daily to celebrate and recognize the leaders, visionaries and day-to-day practitioners who personify excellence in the business of sports. As a culmination of all the accomplishments of the 2016-17 year, it was an award well deserved and represents the successes of each Clemson program, student-athlete, coach, staff member and IPTAY donor who played an important part in achieving the successes of the past year.